The average NAATI translator is at least bilingual and may very well be trilingual or be able to speak and translate several different languages other than their own native tongue. For the person who has to resort to a translation service for their document translation and yet is interested in learning another language quickly for one reason or another, there are a few tips which can be used to help them. One of the best ways to learn another language is to immerse yourself in that language by spending time in a community in which that language is spoken most of the time. This can be harder for English language speakers because in so many places these days any attempt to start speaking in French, German, Spanish and so on is met by a polite smile and a continuation of the conservation in English! However, simply by living in an environment where all the signs are in the language you want to learn and you are surrounded by people who are speaking that language can give you an impetus to learn the language faster. You can increase the amount of immersion when you form a relationship with people who speak the language you want to learn. This requires you to understand and communicate in that language. The more you need to learn, the faster you will learn. You should try and resist any attempt by the people you are communicating with to talk to you in your own language even if it makes it easier for you. By doing some research you may find places to go where the local population simply doesn’t speak any other language. In many parts of South America, for instance, you may find that nearly everyone only speaks Spanish, so if that is the language you want to learn, you will have plenty of immersion practice. If you want to learn Dutch or a Scandinavian language, though, you will probably find that nearly everyone you meet in Holland, Norway, Sweden or Denmark speaks English or German. That’s just ideal if you happen to be a French speaker and want to learn those languages, of course! Whatever you do, always keep a dictionary handy. This doesn’t have to be a paper version. There are electronic dictionaries available or apps for your mobile phone that may suit you better. 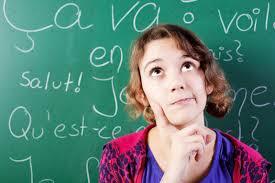 Consult your dictionary every time you hear or see a commonly used word or phrase that you don’t know the meaning of. You will find that your vocabulary expands quite quickly when you use this method. Use someone else who wants to learn your language as much as you want to use theirs. It is best not to use someone who you know very well, but someone you don’t know. A slightly more formal approach will mean that you both get the most out of talking to each other or communicating in each others’ languages. Spend equal amounts of time alternately talking in your language and then the other. Watching and listening to audio extracts or films in the language you want to learn is also useful. If you watch a film, it can help if there are subtitles. It doesn’t matter if the subtitles are in the same language as the spoken variety because this is a great way to pick up how to pronounce words quickly. There is no easy way to learn another language. You have to make a commitment to it and practice, practice, practice!